And who doesn’t love playing more Yasuo? If you’ve ever played a game of League of Legends and thought to yourself, “If I get hit by one more Blitzcrank hook, I’m going to ragequit,” don’t worry. We’ve all been there. The good news is that now there’s a fun little game you can play to improve your reactions to incoming skillshots like that pesky Blitzcrank hook. 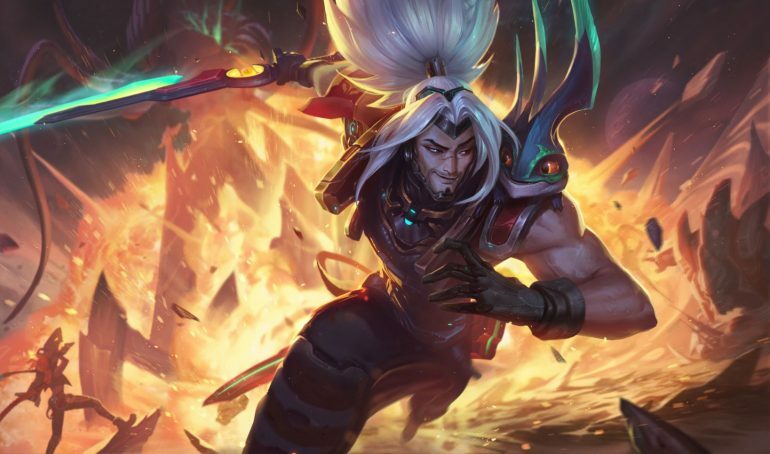 One League fan created a browser-based mini-game aptly named League of Dodging, which lets you play as Yasuo in a top-down Summoner’s Rift. Tons of little beam-type attacks fly toward you, and you have to see how long you can survive and dodge them by clicking around as if you were moving in an actual game of League. We played the game for about an hour to see if anything different happens, like unique attacks or anything like that, and it doesn’t seem to change at all. It’s just those weird beam things flying at you endlessly until you die. The game isn’t exactly polished, but hey, it seems effective enough. The most fun part of the game is the scoring system. The creator of the game tied League ranks to certain score thresholds, so you’d essentially climb ranks for hitting particular scores. This is motivating only because it bruises your ego if you keep getting knocked out in Bronze as a Gold, Platinum, or higher player. The highest score anyone on the Dot Esports staff got was Gold. If you’d like to try League of Dodging for yourself, head to the game’s official website. In our opinion, it’s the most fun to find the highest-ranked friend you have, and then watch how upset they get when it takes them multiple tries to get past Bronze.